In 1982, Patrizia Norelli-Bachelet wrote a synopsis of her cosmology and yogic research up to that point in time entitled, 'The New Cosmology'. The synopsis is reproduced below on PCU blog, so readers can consider how the CONCEPTUALISM of the Puranic Age has been brought forward into our times and updated by Ms. Norelli-Bachelet through the knowledge conveyed in her books, The New Way, Volumes 1&2 and The Gnostic Circle. The 3rd Volume of The New Way was written in 1983 after the realisation came of 'centering' and thereby 'filling the Void'. This realisation, though described and preserved in the Rig Veda, has been lost to India for thousands of years. Notwithstanding the apparent loss, the Veda are still the bedrock of the Hindu civilisation. In 1981 I published my most important work, two volumes in one book entitled The New Way, a study in the rise and the establishment of a Gnostic society. It is the fruit of research of many years, a work that is still in progress, the result of which will form the third volume of The New Way, and ultimately the fourth. For the creation of The New Way I took the cosmology and the synthesis of various philosophic, mystic, and yogic disciplines that I had evolved in an earlier book, The Gnostic Circle, as a basis for the formulation of a revolutionary new means of communication. The Gnostic Circle served as the alphabet, let us say, which I then used in The New Way as a fully evolved language. The purpose of this last book is to present a discussion of the foundations of a new world order, of which India is the centrepiece, – the inspirer and the realiser. On the basis of this newly evolved cosmology, a micro-cosmos is constructed in the book, in which India stands as the central Sun. She is a luminary, an emitter of a new light. Or, to use the ancient Greek terminology, India serves as the ‘navel of the world’. Once this confined experiment is mature, the central Sun then sends off sparks of itself until a new world order, having first taken birth in India, is extended to encompass the whole Earth. The method I have employed to convey this experience is one often used in antiquity, though it has not been utilised in our times to my knowledge. I have taken the ancient concept of ‘the city’ and used it somewhat in the way philosophers such as Plato have done, or St. John in his Revelation. 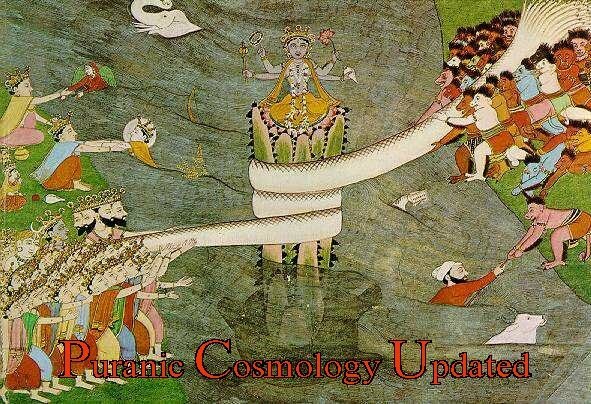 Other examples of similar usage can be found in the Puranas regarding Bharat herself, her geographical divisions, etc, – all of which were means for conveying the cosmogony that epitomised harmony, order and centrality. Thus in The New Way I literally ‘construct’ the City; and this is a cosmos with India standing at the centre of the galaxy. The cohesive element in the structure of this City is Time. In this respect The New Way is indeed revolutionary because Time is rendered concrete in the text and serves as the City’s structural framework. Moreover, through this web of Time that is detailed in the book as the basic structural support of the City, India is connected to the entire Earth and makes it one cohesive whole, because time, being a universal element, is the active and dynamic substance in this process. On the basis of a new method for working with Time, it is possible to render the experience of global oneness and unity very real and actual. Time is shown in the book to be the element of cohesion in the collective awareness and perception. As such this City, whose structural component is Time itself, becomes, as it were, a new consciousness. It is this new ‘City-Consciousness’, its rise, its establishment, that is the essence of The New Way and that forms the basis for a more enlightened world order. My system evolves along lines similar to those laid down by Pythagoras and the earlier Pythagoreans. The Power of Number is the kernel of my cosmology, – as it is in the Pythagorean system. However, while for Pythagoras it was largely a ‘geometry of number’ (or an arithmogeometry of points in space forming gnomons within the Square, or else the triangular Tegtraktys), progressing from 1 to 10 in the scale of number, my work has produced what I call ‘the Geometry of Time’. And this evolves on the basis of the scale, 0 to 9. In addition, this scale has planetary orbital values. It is the incorporation of the Zero that is fundamental in this new cosmology. The entire system is explained in my book The Gnostic Circle. Basing my system on a scale that incorporates in its most fundamental part the Zero, it can be readily understood why India has come to be so central a piece in this new cosmo-terrestrial order of our age. However, this is clear only when the full nature of the Zero is understood. With this comprehension the true magnitude of the significance of its discovery by the early Indians is brought home. It was a discovery that may have been appreciated fully by mathematicians, but which, in my view, has not received enough attention from philosophers, metaphysicians, and cosmologists. The nature of the Zero and its relevance to Indian spirituality, science and culture are an essential part of my work. By using concrete elements very much allied in our thinking with matter and material creation (as separate from or different from spirituality), The New Way brings the vision of unity and oneness far more firmly into our real world, on this Earth, at this point in evolution. Indeed, a fundamental aspect of the work is the ultimate fusion of the two poles – spirit and matter – until finally there is no distinction between the two. It is this consciousness of unity that replaces the old order and permits a new society to evolve. The Contents of Volumes 1 & 2 of The New Way, published in August of 1981, may be examined so that a clearer idea may emerge of the development of this unusual process in the text. I wish therefore to draw attention to the book’s structure, because this will then lead us to an understanding of my present topic of research, which is largely a continuation of what has been accomplished in Volumes 1 & 2. It may be observed that in the Table of Contents (and a perusal of the book itself) that in the first volume I have given broad outlines, starting from rather a transcendent vision of the whole, based on an analysis of present-day conditions, both positive and negative. I describe our world as it is seen in the ordinary vision, with its pain as well as its felicitous achievements. But the reason for this is only to then reveal that in the midst of this distress the new order is already rising, that it is not a utopia to be reached tomorrow; rather it is a new world already born though yet in an infant stage. In The New Way I locate this ‘child’ in India, on the basis of the new cosmology; and thus begins the ‘constructing process’ of the City-Consciousness. A fundamental element in this cosmology, as stated, is the Zero, which I have connected to OM. This sacred syllable, standing at the heart of all Indian thought, is also the fundamental core of the City-Consciousness. As India in terms of nations is the central sun of the Earth’s terreo-cosmology, so Om is revealed to be the light and central fire of the City. Again responding to the call to make the experience one of our world, in matter, the Pranava also takes on a concrete form in The New Way. It becomes the ‘Temple’ at the heart of the City. And this is the theme of the second volume, the entirety of which is dedicated to the ‘construction’ of the soul and centre of the City-Consciousness, which in this work is given the form of a Temple. Thus, The New Way evolves into a rather unique treatise on sacred architecture. But here we begin touching remote history, when sacred architecture was the result of a superior knowledge and corresponded to laws ignored by us today. These ‘Laws of Correspondence and Concordance’ I have detailed at length in The New Way, but they are brought dramatically into our own times. Thus The New Way brings forth an extremely new and sophisticated concept of sacred architecture in India, of our times, not at all belonging to ancient history. All of this serves to concretize India as the centre of a new tomorrow. The precise formulas which serve to render ‘the Temple’ a unique piece of sacred architecture are given with extreme detail in the second volume of The New Way, revealing what I have called ‘the geometry of Time’. This is the means by which time is woven into space, into a particular measurement of space, which, because of this unique relation with Time, comes to be considered ‘the Golden Rod’ of Western tradition, or the Divine Maya of Vedic times, – using ‘maya’ in its ancient Vedic sense of ‘measure’. Thus we have revealed before us the Divine Measure in the Temple. With this Measure cosmic cycles come alive in the structure by means of the Laws of Correspondence. Consequently The New Way is a valuable contribution to the new scientific discipline called Archaeoastronomy. This discipline seeks to understand the astronomic content of certain extant pieces of sacred architecture dating from ancient times and found in various parts of the world. On the basis of a thorough analysis of this present-day ‘Temple’ of India, the method by which astronomical import is contained in temple or pyramidal architecture is fully explained, as is also its purpose. This study, however, focuses on India’s contribution to the field today, a model of which is given in the book through numerous diagrams and architectural plans. Yet India’s past is not ignored in The New Way. A look at the contents of the second volume will reveal that while I ‘construct’ the Temple-Soul-Sun of the City, I use this very process as a means to trace the nations’ great heritage through the ages, revealing her unique fitness to occupy the Centre today. Starting from present times I look back (always while ‘constructing’ in the present) into India’s deep past, moving through the Puranic period and the Upanishadic, until finally the Source is reached in Vedic and pre-Vedic times. All along a connection is firmly maintained with the present. Thus the reader is never lost in an abstract discussion which he can only with great difficulty relate to his present life and the world in which he lives. Even while reaching to the most ancient source, The New Way maintains a firm hold on the present. India’s ancient heritage is thus re-vitalised in an exciting and invigorating manner. A sound and realistic new order is built, but one that rests firmly on ancient principles. The thought of Sri Aurobindo is woven throughout the text (as it is in all my works). He stands as the supreme inspirer. But his philosophy in my work does not serve to render the movement of consciousness in any way static or removed from earthly life and evolution. It is, if I may say, applied philosophy. Therefore the aspect of his work that most harmonises with mine is his concentration on a life divine for the Earth, and his vision of human unity and a new world order. The first volume of The New Way is an overall vision, similar to a transcendent survey. The second volume is the new from a cosmic dimension, drawing that transcendent vision into the cosmos or material creation by means of a detailed cosmological structure, a ‘new model of the universe’. In the third volume, I propose to draw this vision even more closely into life on this planet. Indeed, the third volume is the vision drawn into the individual dimension. I propose to detail the citizens’ participation in the new society, and the means by which a new collective consciousness is formed of individual elements. While the scope is global, India will continue to occupy the central, inspiring position. For example, topics such as the ancient caste system will be discussed at length and in great detail. I propose to show its unifying nature while at the same time outlining the causes for its decline and degeneration into a source of antagonism and discord, which is the opposite of its original intent. By utilising certain diagrams taken from The New Way cosmogony, I propose to show the cosmic foundation of the caste system, which is thoroughly non-sectarian and in its essential nature unrelated to religions; but, above all, to bring this division of society into modern times and show the method by which India can now evolve a superior structure based on an enhanced vision of our solar system as reflective of a new planetary society. In the third volume I propose to make the nature of the new society even more clearly cosmic and planetary than in Volumes 1 & 2. The individual in such a society is revealed as a planet orbiting a central Sun, and the whole is the experience of a divine and superb Harmony. I propose to emphasise the need for such a society of individuals, if at all the Earth is to support the continued evolution of the human race to a superior poise and emerge from the present impasse, – collective and individual. Culture will be a prominent aspect of the new society, as treated in the third volume of The New Way. It will take its place in the ‘constructing process’ of the City as the vital breath running through the arteries of the City-Consciousness. This will be shown to serve as a life-giving element in the society, as a constant source of re-newal of energy, always throwing up new forms of itself in all the myriad branches of culture, while being ever based on truth and knowledge. Likewise, economics will come into focus, as will many other aspects of life in the community; all these will be shown to find their true place and poise in the planetary Society and City. By completion of the third, the set of three volumes will express the three fundamental principles of reality – transcendent, cosmic, and individual, or God, Nature, and Man – in the form of a City. I envision thereafter a fourth volume, which will centre largely on the physical structure than can house a new society and which will be reflective of that society’s consciousness of unity. This completed work I hope will offer a sound body of knowledge serving as an inspiration and a practical guide for the establishment of a new world order and a consciousness of international unity. A new India, with its ancient heritage, would be the first model-experiment in this work, which then must extend to the four corners of the Earth.